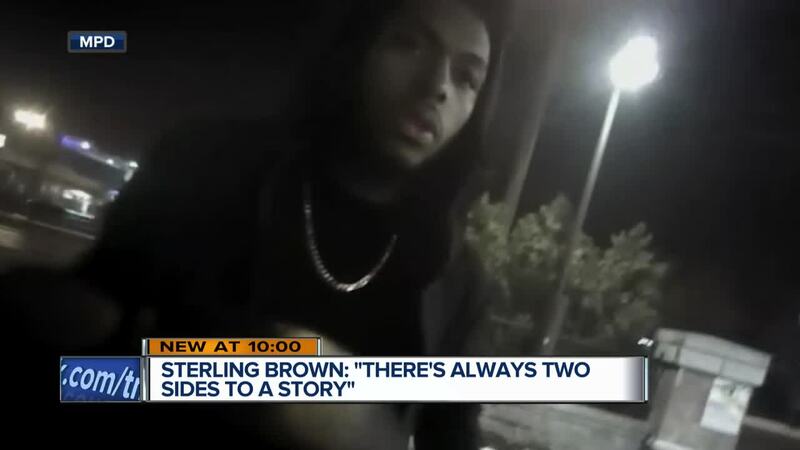 It’s been a little more than a year since Sterling Brown's rookie year with the Milwaukee Bucks was overshadowed by police body camera video that made headlines across the country. Brown’s name became a part of the national conversation of excessive force by police against unarmed African-American men. He talked one-on-one with TODAY'S TMJ4 anchor Shannon Sims in a revealing interview of how he’s been able to move forward since that fateful day. At 23 years old, Brown went from NBA rookie to role model ready to speak up for many who have lost their voice. He came to Milwaukee in 2017 with big dreams of making an impression in the NBA. 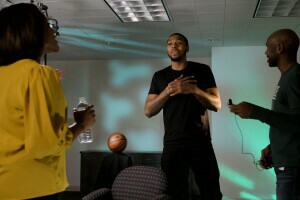 Brown met Sims in the studio for a candid conversation. "How did January 26, 2018 change you?" asked Sims. "It was just confirmation it could happen to anybody," said Brown. "It happens to a lot of black men on a daily basis, and they are not able to be heard. So, for me it's an opportunity for me to step up and be the voice for the voiceless." In a matter of seven minutes, the Milwaukee Bucks guard found himself surrounded by a half-dozen officers, taken to the ground and tased for illegal double parking in a handicap spot at 2 in the morning, an encounter with police that could have been resolved with a parking citation. "It was crazy," said Brown. "I really didn't have time to reflect on it, maybe a little bit that night in the cell, but as soon as I got out I had a game and a shootaround. I had to go right to the gym and get ready." Reviewing an hour's worth of body camera video provided by Brown's attorney, you see Brown’s demeanor was never confrontational as the initial officer first reported to the supervisor on scene. Though Brown was arrested, he was never charged with a crime. That morning, Brown quickly rebounded and found solace in his teammates and the game he loves. "Basketball has helped me a lot," he said. "It helped me keep my mind focused on something ... I wasn't able to just drift away and dwell in what happened and let it eat me up." 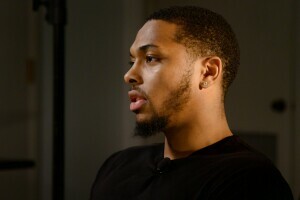 The experience prompted him and his brother, former NBA player Shannon Brown, to start the S.A.L.U.T.E foundation, which stands for sacrifice, ambition, loyalty, unlimited truth and education. "It's an avenue for them (kids) to get out of the streets and have something to do productive," said Brown. "What do you want people to know about you beyond the video?" asked Sims. "Like I said, I'm a humble person," said Brown. "I'm ambitious as well, and there's always two sides to a story, so look at me for what I do to help. Don't look at me for just the video and the negativity that came with that. I go out there and I try to live. You know I have a life and try to do the best I can in anyway I can." Brown has grown up respecting the badge. His father is a retired Maywood, Ill., police officer. Before concluding the interview, Sims had to ask, "Are you still comfortable with calling Milwaukee home?" "Yes, I am," said Brown. "It's a city that continues to show me nothing but love whenever I step on the floor or when I'm outside going to the store or walk in the street people show love. I won't let that change nothing." Brown has filed a civil rights lawsuit against the City of Milwaukee and the Milwaukee Police Department. Brown's attorney, Mark Thomsen, will provide an update on the lawsuit Friday.